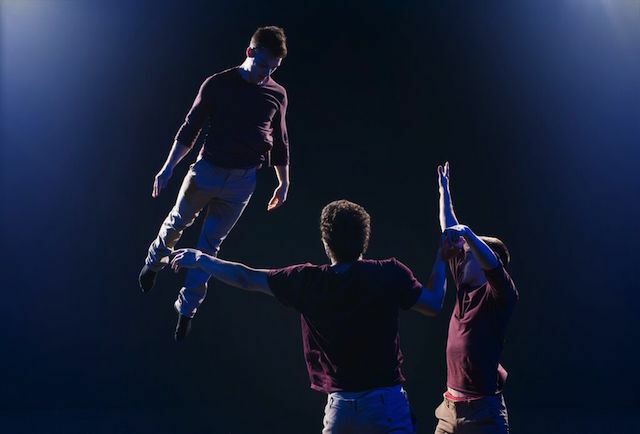 Circus ensemble Barely Methodical Troupe (BMT) explores the theme of male friendship in their current Udderbelly show, Bromance. The concepts of trust, support and personal space are expressed and performed through an hour-long, captivating and energetic performance. 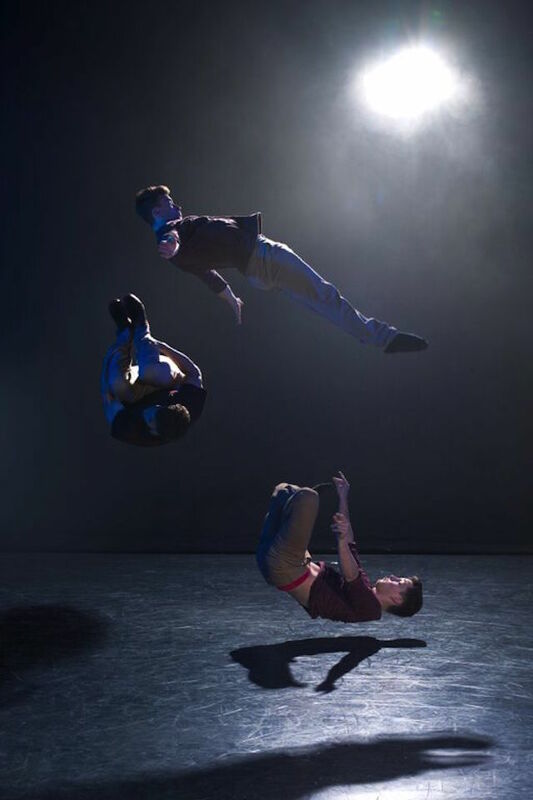 The talented trio, formed by Beren D’Amico, Louis Gift and Charlie Wheeller savvily mix circus skills with parkour, b-boying (i.e. breakdancing) and martial arts tricking. Particularly striking is the duo performance of D'Amico and Gift, who express the feeling of support and mutual help people find in friendship through a complicated series of Hand to Hand numbers and figures. We can feel their dedication and their hard work while they perform intricate clinches and grasps — and we absolutely root for them. 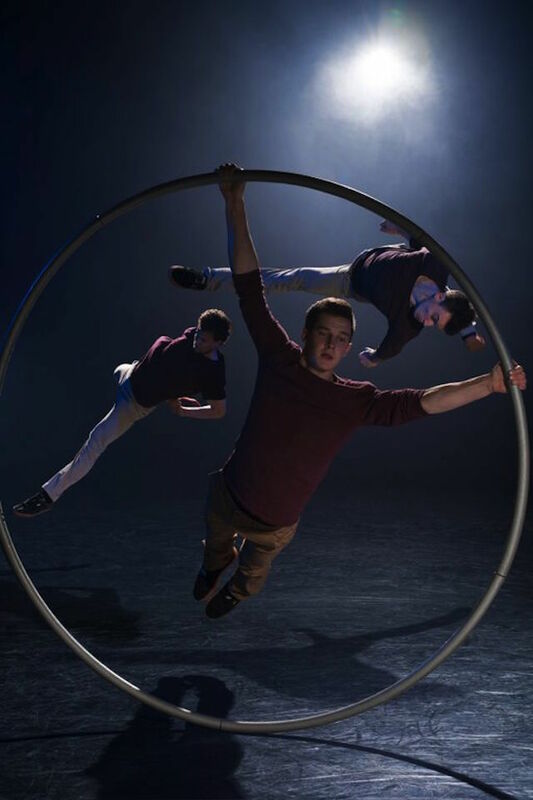 We're also captivated by the solo performance of Wheeller, who balances perfectly on the Cyr Wheel, giving the idea of someone trying to balance themselves on their own path. The last part of the performance is a bit of a show off, as the guys take off their clothes and remain in their underwear. We feel it's a bit useless although the audience seems very excited when they perform their last number — the human pyramid — in their pants. We like the contrast between the simplicity of the setting and the complexity of BTM's performance: the stage has no props, just the performers creating intricate choreographies. This is circus at its purest — watch the taster video of the show, you'd better get your ticket soon. Bromance is on until Sunday 19 July at Udderbelly, Southbank Centre, Belvedere Road Coach Park, SE1 8XX. Tickets start from £12.51 and can be booked online. Londonist saw this show on a complimentary review ticket.